Swim England is the governing body for the sport in England. The ASA has created the MySwimming Dashboard to make it easier for members to access all news accross the ASA website in one place. Click here to find out more information or sign up. The ASA have a section on their site dedicated to young swimmers (under 16's). As a young swimmer, this is a place where you can make your voice heard. You can talk about anything that matters to you: from the support you get from your coach, who you talk to when you’re upset, and who helps you when swimming gets challenging or difficult. ProSwimwear offers Europe's largest range of competitive swimwear. Click here to get discounts on any purchases and earn money for our club at the same time. Active East Herts, the Community Sports Network for East Herts has a new, and much improved website! Please visit us at http://www.activeeastherts.org/ for information and news about sport and physical activity in the East Herts district. Like us on Facebook and follow us on Twitter! 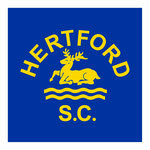 If you are already a member of Active East Herts, you will be listed in the “Find a Club” section. If you wish to become a member, please follow the Quick Link to “Register a Club”. The What’s On and News sections will keep you up to date with what is happening in the district and the funding page provides lots of guidance around local, countywide and national funding streams. If you have any news or events that you would like us to feature, you can use the Quick Links on the front page to send us items. The rolling banner on the main page is used to feature events and activities across the district so “Contact Us” if you have an activity that you would like to advertise. Sports Club Grant Programme – a small revenue grants scheme supporting local sports clubs. We hope you find the new website informative and look forward to receiving your news and what’s on entries on a regular basis!